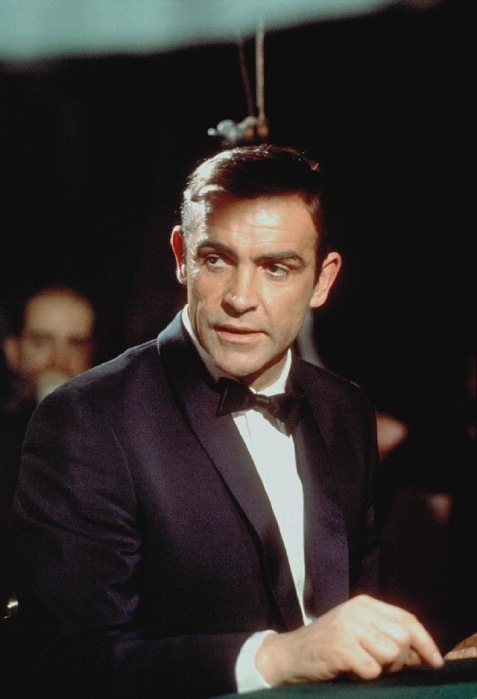 This weekend, James Bond himself – Sean Connery – turns 83. 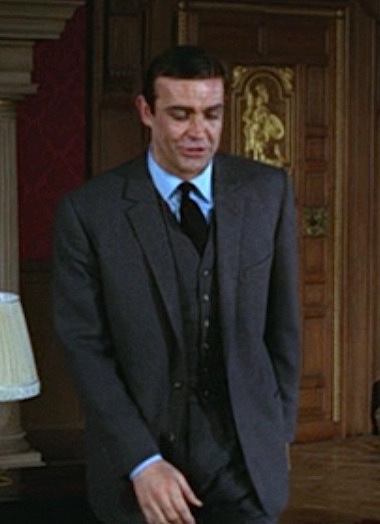 Celebrate in style with black tie and either a vodka martini or, to honor his heritage, a tumbler of single malt Scotch. 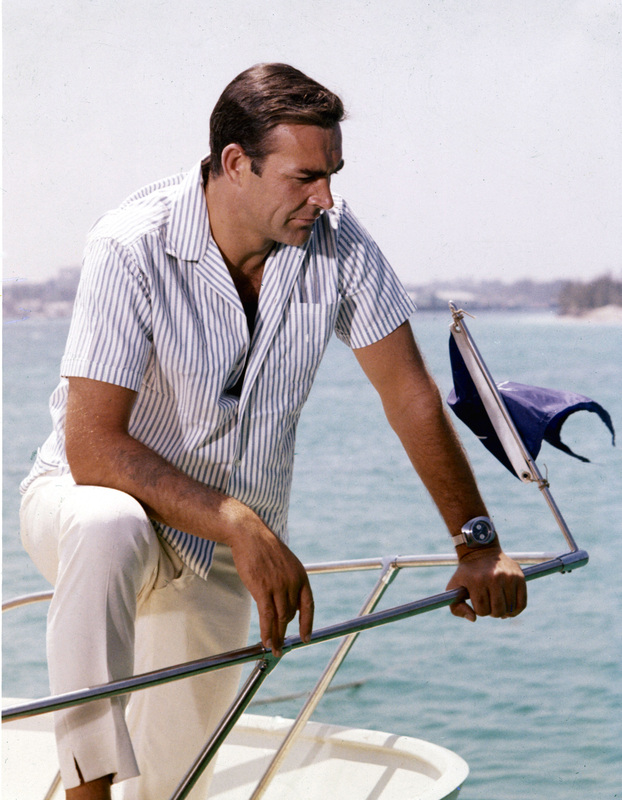 Sean Connery as James Bond in Thunderball. 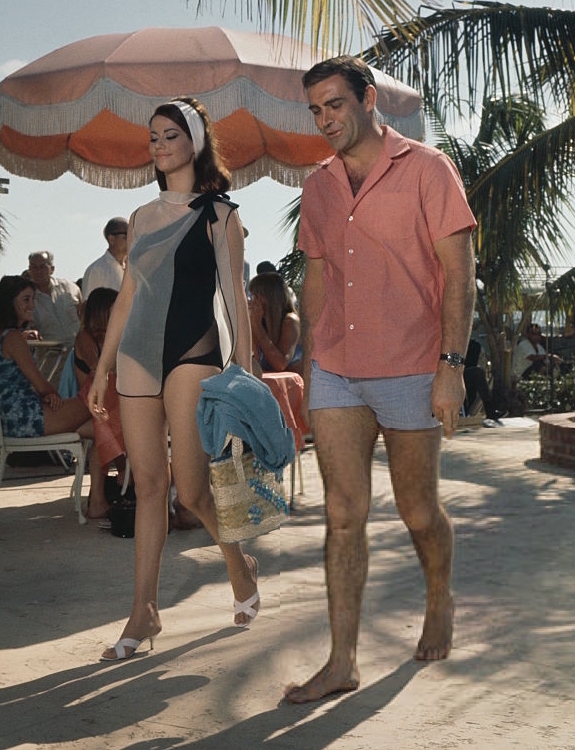 For the first time in three years, James Bond spends the majority of the film in beach attire, from swimming trunks to casual shirts and linen slacks. 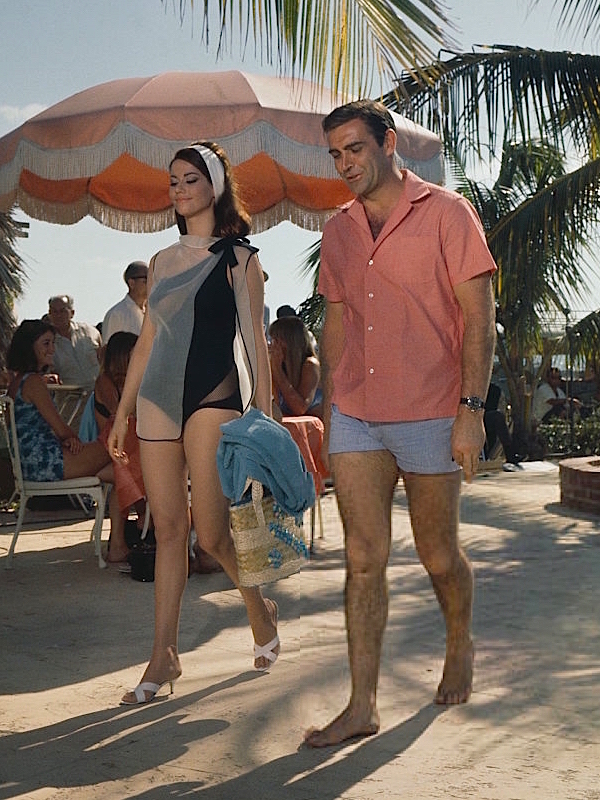 Reasonably so, too, as the warm climate of the Bahamas doesn’t really demand a three-piece flannel suit and tie.